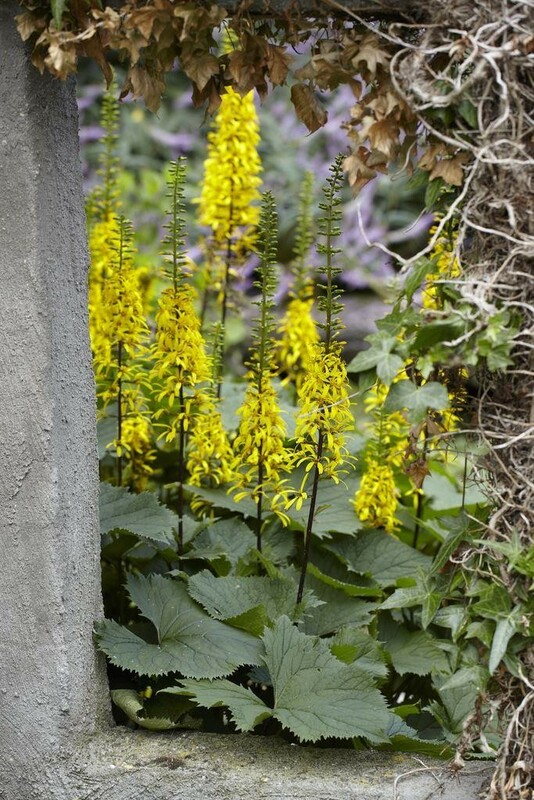 Towering spires of yellow, daisy-like flowers on dramatic dark purple-green stems in July and August. 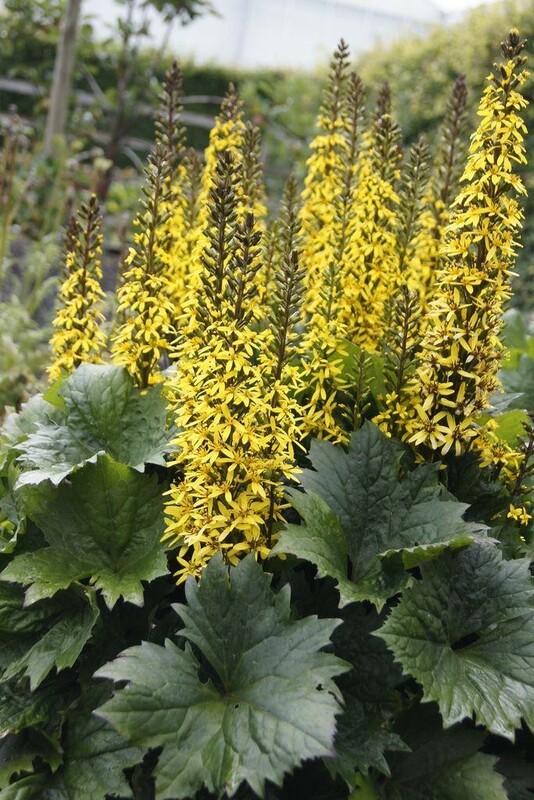 This large-leaved perennial provides excellent groundcover for permanently moist areas of the garden. To prevent the large, deeply-cut leaves from wilting it needs to be mulched each spring and watered regularly during periods of drought. Supplied in Supplied in a 1 litre container.